For years, Thanos has been biding his time in the Marvel Cinematic Universe, but when Avengers: Infinity War Parts I and II hit theaters in 2018 and 2019, respectively, he’ll finally get the chance to shine as the main antagonist. He’ll already be extremely powerful on his own, but new word has come down that he may not be alone in fighting the Marvel heroes. Avengers: Age of Ultron director Joss Whedon recently revealed that there will be more villains than just the Mad Titan in both films. It’s bad enough to have one alien warrior determined to collect the six Infinity Stones, but now there will apparently be other bad guys joining the fray! It’s not clear in what capacity these villains would serve, but presumably they will be at least be somewhat connected to Thanos and his mission. This could be a great opportunity to not only introduce new adversaries from the comics for the Avengers and other heroes to battle, but also bring back enemies from past movies for another round. Taking Thanos’ comic book history and the Marvel Cinematic Universe’s past, here are the best candidates for villains to pit against the heroes in the third and fourth Avengers installments. 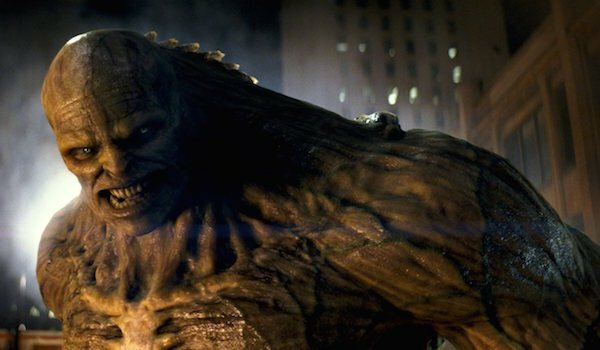 In terms of wasted potential in the MCU, Abomination is near the top of the list. Although Tim Roth played Emil Blonsky during the whole film, it was only at the end that he finally transformed into his most monstrous form, and he hasn’t been seen since he was taken into custody. Since there’s little chance of seeing another Hulk solo film in the near future, the best way to bring him back would be as a villain that Thanos recruits to his cause. During his assault on Earth, Thanos will presumably cause enough destruction that government facilities would be compromised, which would allow Abomination to escape. The Mad Titan could then possibly order Blonsky to deal with the Hulk – a serious threat - while he deals with other matters. After the beating he took in The Incredible Hulk, revenge would be fresh on Abomination’s mind, so he would be more than willing to perform the task. After all, who better to distract the Hulk than the man who is his equal in size and strength? The last time we saw the Red Skull in the MCU, he was seemingly killed after he touched the Tesseract and was launched into a portal. It remains unclear whether he’s truly dead or not, but either way, his inclusion in the Infinity War movies can still work. If he is dead, Thanos can revive him using one of the Infinity Stones and use him as an advisor/pawn against Captain America and the rest of the Avengers. If he lived, then he’s just been floating in a different area of the universe until Thanos found him and recruited him to his cause. 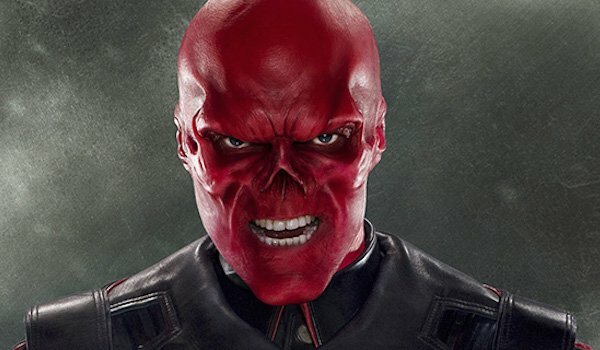 The best part of this is that since Red Skull was disintegrated in Captain America: The First Avenger, he doesn’t necessarily have to be playing by Hugo Weaving again if the actor isn’t keen on returning (as he has hinted) They could simply alter his appearance, either through cosmic or extraterrestrial science means - as long as his trademark red visage is kept intact. Thanos is a powerful being, but even he needs minions to do his dirty work. Two of his most frequently seen servants in the comics are the Blood Brothers, a pair of alien twins who debuted fighting Iron Man in 1973. As their size suggest, both have superhuman strength (although the degree of strength varies by how close they are each other) and also drain blood from their victims like a vampire. Over the decades they have battled many of the Marvel heroes, but during an encounter with Drax the Destroyer, one of them was killed. The surviving brother continues to operate as a supervillain, but an appearance in the MCU is contingent on them being together. These guys aren’t masterminds or intelligent enough to formulate their own planet conquering schemes, but as Thanos’ servants, they would be able to put up one hell of a fight against Earth’s Mightiest Heroes. Servants and minions are good to have around, but if you’re an intergalactic warmonger, you’ll need other military minds to help you with your plans. That’s where Black Dwarf comes in. 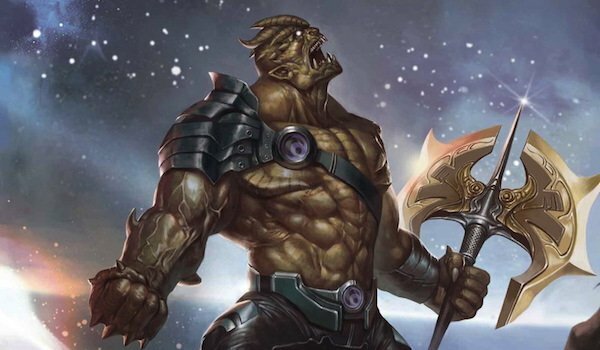 During Thanos’ most recent attempt to conquer Earth in the Infinity crossover event, he formed the Cull Obsidian, a group comprised of the aliens Black Dwarf, Corvus Glaive, Proxima Midnight, Supergiant and Ebony Maw. Privately referring to themselves as the Black Order, they were each sent to deal with a specific Marvel hero, but were eventually all defeated. 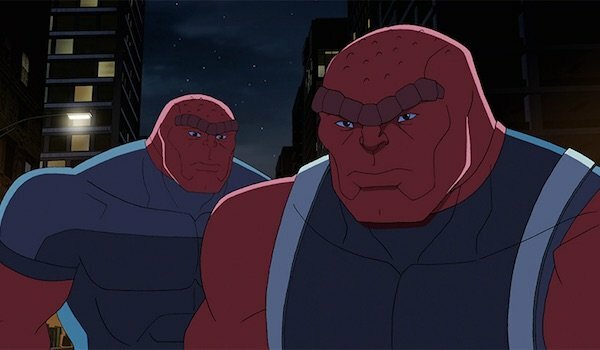 While it would be cool to see some of the Order’s other generals appear as well, Black Dwarf is the powerhouse of the group, so if the MCU is looking for a purely physical threat to throw at the heroes, then Black Dwarf will provide that necessary challenge with his super strength and unbreakable skin. He could be pitted against Black Panther like in the comics, or, if the Guardians of the Galaxy show up, he would be a good adversary for Drax the Destroyer. Just because another villain shows up in the Avengers: Infinity War movies doesn’t mean they necessarily have to be allied with Thanos. Introduced in Thor: The Dark World’s post-credits scene, moviegoers became more acquainted with The Collector in Guardians of the Galaxy, where he hired Gamora to retrieve the Power Orb and explained the origin of the Infinity Stones. Although the movie didn’t delve into his background, Collector has a deep history with Thanos in the comics. The Collector is one of the Elders of the Universe, who built his collection to keep these items preserved and safe from the Mad Titan as the millennia passed. In the MCU, it would appear that he shares the same motivation as Thanos: to collect all six Infinity Stones. Despite losing the Power Orb when his collection was destroyed, he may still have the Aether he received from the Asgardians, meaning he’s still in the game. 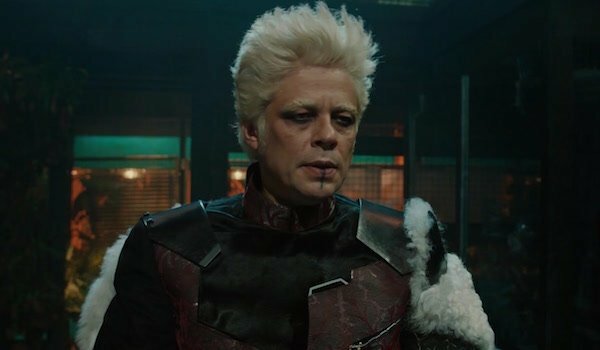 Though The Collector may end up being an enemy of Thanos on the big screen, that doesn’t mean that he isn’t a threat to the Marvel heroes as well. It would be an understatement to say Ronan and Thanos did not have a good relationship with each other. In Guardians of the Galaxy, Ronan agreed to secure the Power Orb in exchange for Thanos’ help in destroying Xandar. However, once Ronan found the Infinity Stone, he took its power for himself and told Thanos he would eventually come for him. 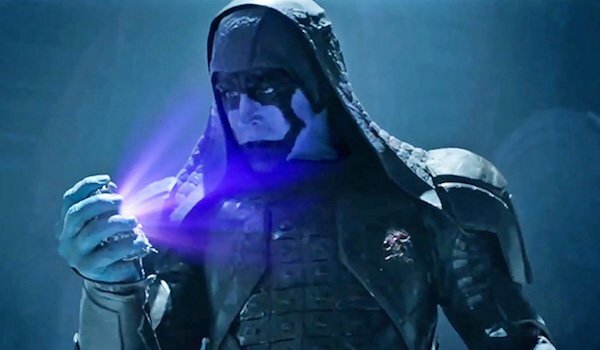 Ronan was killed by the Guardians before he could accomplish this, and while he won’t be showing up in Guardians of the Galaxy 2, the MCU may still be able to use him again. Like the Red Skull, Thanos could use one of the Infinity Stones to revive Ronan from the dead, only this time he would also make sure the warrior is under his complete control. Even without the Power Orb in his hammer, Ronan’s Kree biology grants him enough superhuman abilities that he could pose a decent challenge. Here’s what differentiates Kang the Conqueror the rest of the entries on this list: he could be used as a greater threat down the line. 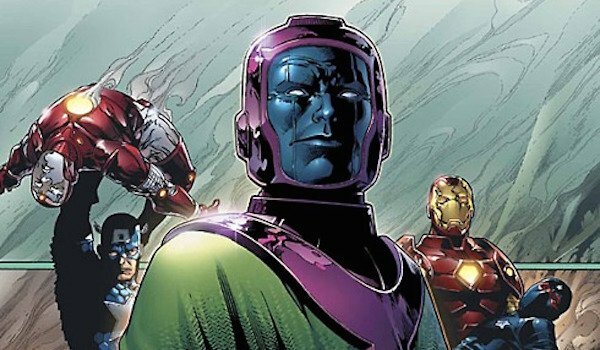 To give some background, Kang is a time traveler from the 30th century who uses advanced technology and his extensive knowledge of history to battle the present-day Marvel heroes and cause mayhem throughout time. The Time Stone seems like the obvious connection between Thanos and Kang, but it would be more interesting if Thanos’ abuse of power ripples through the time-stream and alters the future, thus leading to the creation of Kang and him coming to our era to either conquer it or begin formulating his plan. We don’t know what the plans for Marvel’s Phase Four are (which will begin after Inhumans is released), but the studio shows no signs of ending this universe after 2019. Once Thanos is out of the way, the MCU will need a new overarching bad guy, and Kang can fill that role. Achieving ultimate power isn’t the only reason Thanos wants to collect all the Infinity Stones. Okay, that’s a big part of it, but he’s also eager to use their power to court his one, true love: Mistress Death. That’s right, Marvel actually has a physical embodiment of death in the comics, and Thanos’ goal of destroying all the life in the universe is in effort to prove his love to her. Presumably, The Avengers: Infinity War movies will delve into Thanos’ origin, and it’s here that we can meet Death personified, along with any other abstract entities from the comics the MCU chooses to include. Given how powerful she is, having her go up against the superheroes would be pointless since she would obviously kill them all, but as the object of Thanos’ affection, she would play an important role. 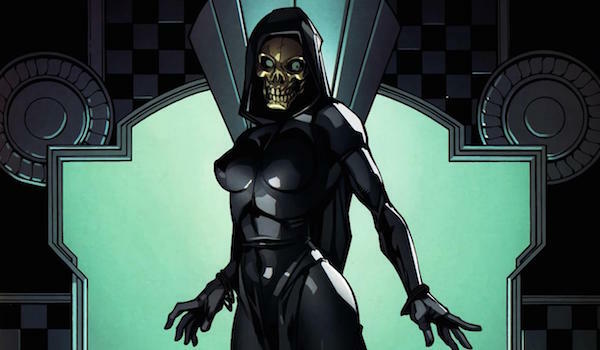 So while classifying the entity as a villain may not an accurate description, since this is the being that is responsible for life ceasing to exist in all of reality, it seems more than appropriate including her in the Avengers: Infinity War films.